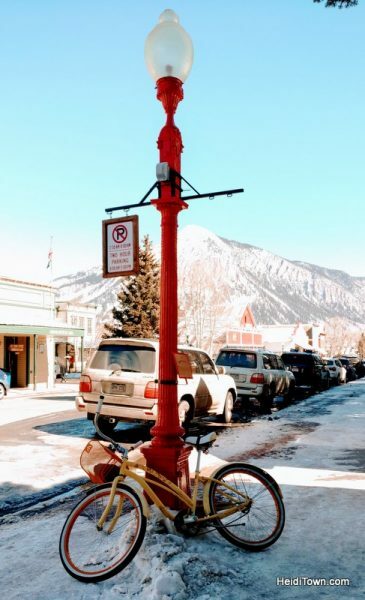 Crested Butte, Colorado is not short on restaurants. 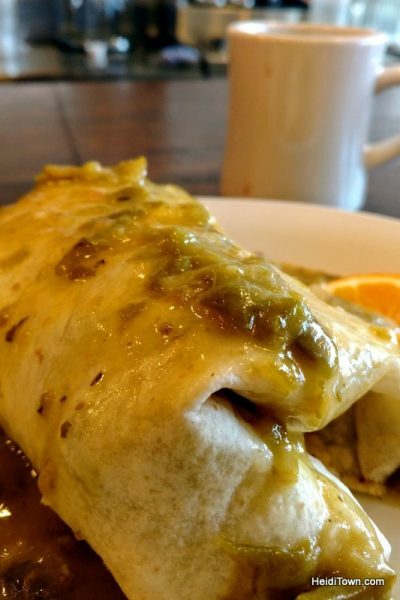 In fact, between Crested Butte Mountain Resort and the small Town of Crested Butte, there are around 60 restaurants, so it would be difficult to eat all the things in Crested Butte during one three-night stay, but we tried. It turns out, Crested Butte is a very good food town. Here’s where we ate and what we thought about each and every morsel. 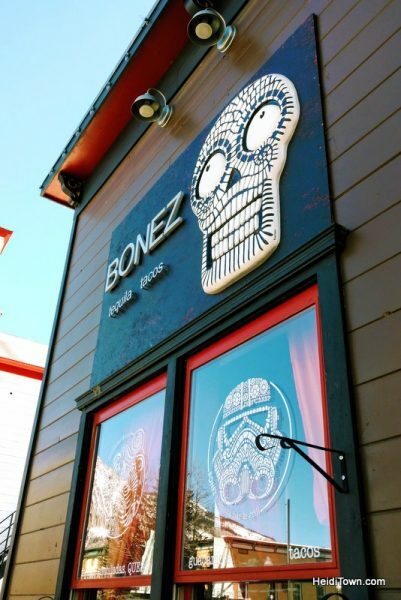 We ended up at Bonez in downtown Crested Butte on the first night because my husband, Ryan, loves tequila. I’d been to this restaurant on a previous trip and knew that it was a good place for tequila. I was not wrong. As it turns out, it also happens to be a great place for happy hour. We sat at the bar next to Johnny and Griffin from Western State Colorado University in Gunnison, which is just down the road. They’d been out fishing and were now dining on happy hour tacos that looked really, really good. I can’t pass up tacos so we ended up ordering several things off the happy hour menu including tacos and queso blanco. Ryan stated that it was the best queso he’d ever had, which is high praise because the guy likes queso almost as much as tequila. Our entire bill, including tip, two drinks per person and tacos and queso was $51. Not terribly bad when you consider a top-shelf tequila was in the mix. 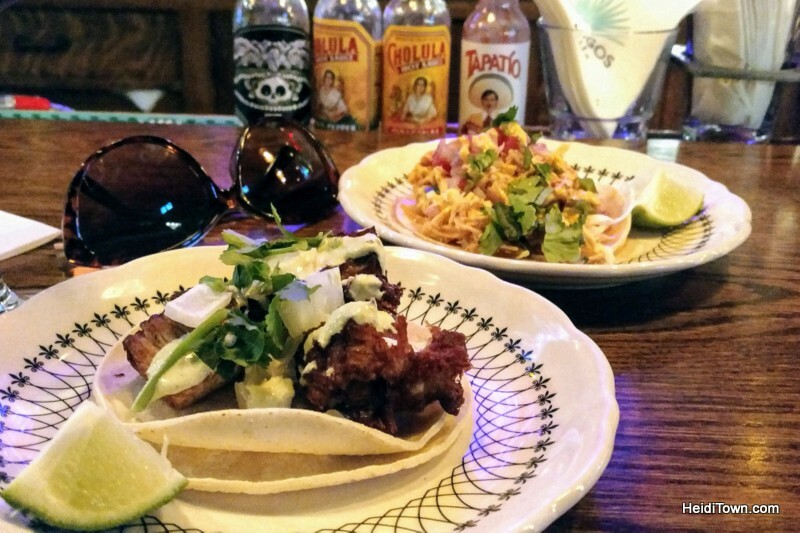 Leave out the drinks and you can eat here at happy hour for under $10. After dinner, we stopped at Niky’s Mini Donuts and bought a six pack which we munched on for the next several days. This place is just plain fun! 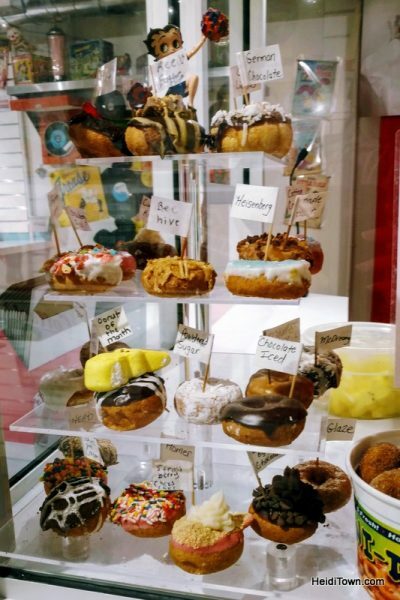 You get to choose between 24 different donut toppings and they have everything from Death by Chocolate to Maple Bacon. This is one of the cutest breakfast spots in all of Colorado. It looks like an old bar that’s been turned into a brightly lit diner. We sat at the bar and ordered a breakfast burrito for me and a chorizo omelet for Ryan. We loved the ambiance of this place and breakfast a was good, although I had slightly envy over the breakfast sandwich the guy next to me was tearing into. I’d order that next time. We were so active on the mountain on day two that we skipped lunch opted for an early appetizer at Montanya Distillers. This distiller of amazing rum has become a local hot spot for pho and other international street food. 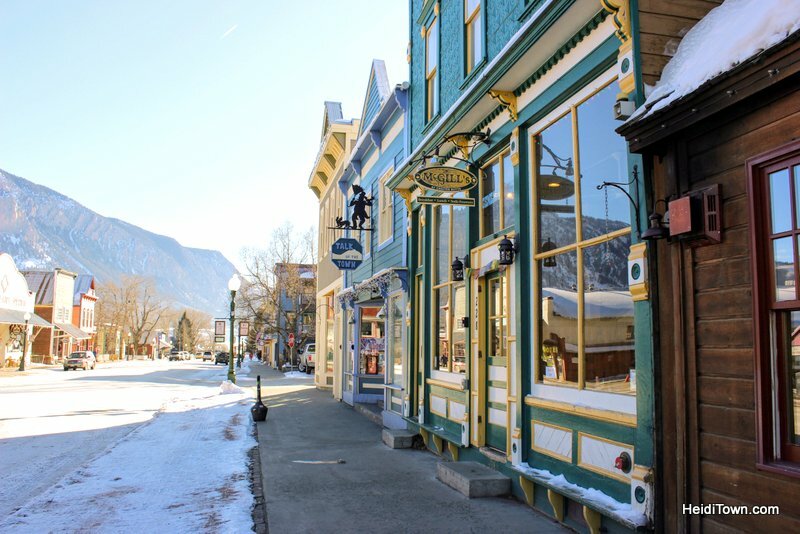 It’s a must-stop on any visit to Crested Butte. 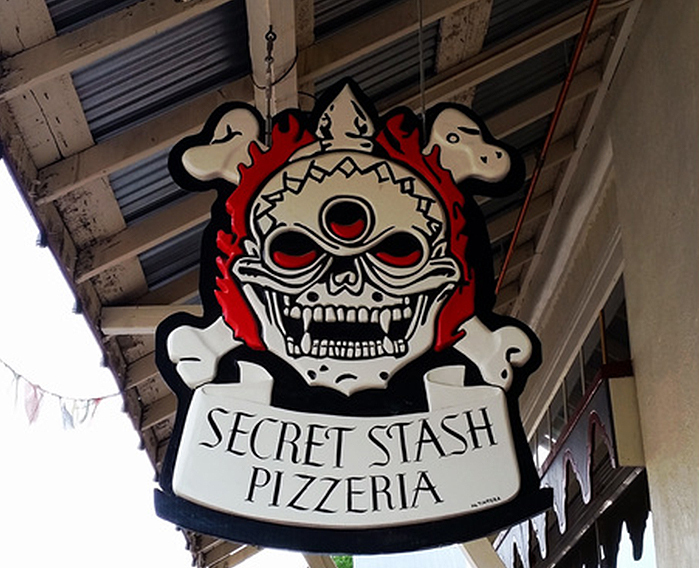 Before we traveled to Crested Butte I had four different people recommend Secret Stash. I’d missed it on a previous trip and wasn’t going to make the same mistake twice. I’d heard that they can have insane waits at this popular Crested Butte pizza joint so I expected to do some waiting, however, we lucked out and immediately got two seats the bar when we walked in at 7 p.m. The place was a zoo so we thanked the pizza Gods and began discussing the menu with fellow diners at the bar. We decided on the Notorious FIG, featuring mozzarella, bleu and asiago cheeses, thinly sliced prosciutto, dried black mission figs and a drizzle of truffle oil. It’s really good and you don’t have to take my word for it because this particular pizza was the winner of the World Champion Pizza Challenge. The pizza options here are as eclectic as the decor which features a mishmash of art and artifacts from all the places in the world that the owner loves. The vibe is a bustling combination of locals and visitors who all come for one thing—delicious pizza. We were staying at The Grand Lodge at Crested Butte Mountain Resort and on the morning of our third day the resort’s in-house restaurant, Woodstone Grille, hosted us for breakfast. The all-you-can-eat buffet options include fresh fruit, waffles, meats, muffins, potatoes and more. I highly recommend the made-to-order omelet that’s delivered directly to your table. The best part is that this breakfast buffet will only set you back $13. Author’s Note: This was the only comped meal we received on this trip. 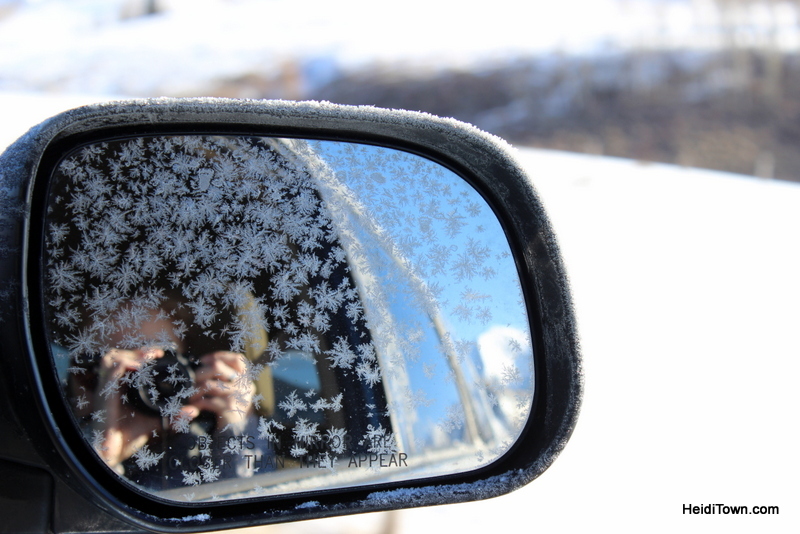 A chilly morning in Crested Butte, Colorado. Later in the morning, we drove downtown and stopped in for coffee at Camp 4 Coffee. 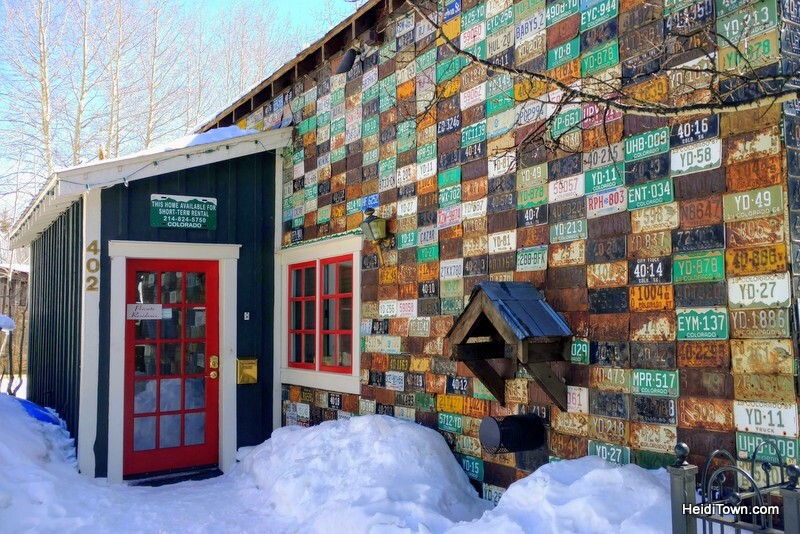 This great little coffee shop is located in what just might be the most famous building in Crested Butte. I wonder how many time these license plates have been photographed? 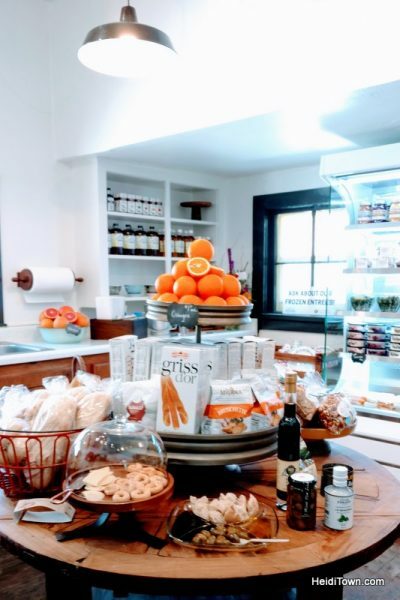 While exploring downtown, we also discovered Scout’s General, a brand new downtown store selling everything from lotion to picnic supplies. It’s definitely worth stopping by and checking this place out the next time you’re in Crested Butte. Our room at The Grand Lodge had a big kitchenette and dining area so we decided to fuel up on leftover Secret Stash pizza before heading over to CB Crafted, one of the main reasons we were in town. 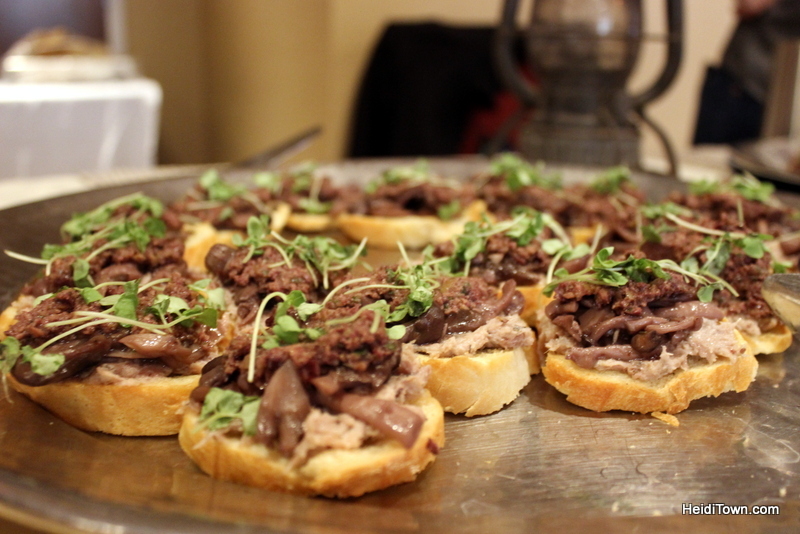 This is an annual festival organized by the Crested Butte Chamber featuring beer, wine, spirits and a smattering of appetizer-sized bites from local restaurants. 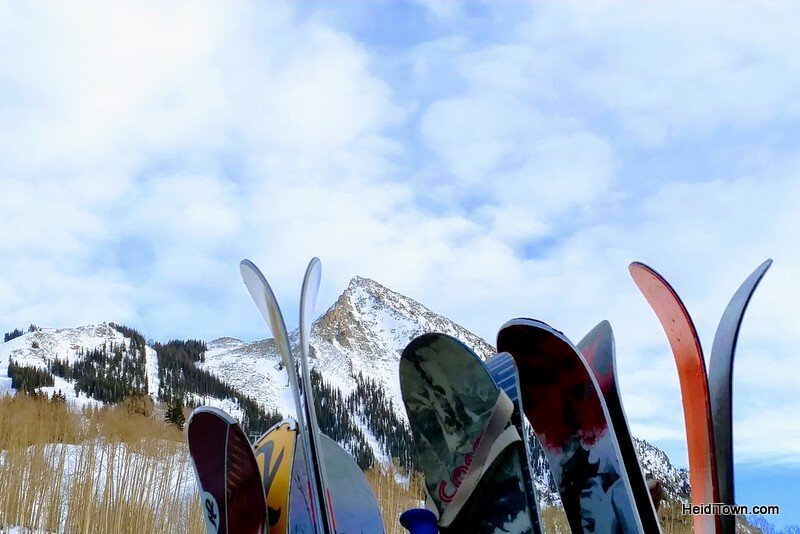 I’d definitely recommend planning your Crested Butte ski trip around CB Crafted next winter. We kept dinner simple by staying at Crested Butte Mountain Resort. The town and mountain are separated by 2.9 miles and there’s a free bus system that runs between the two. 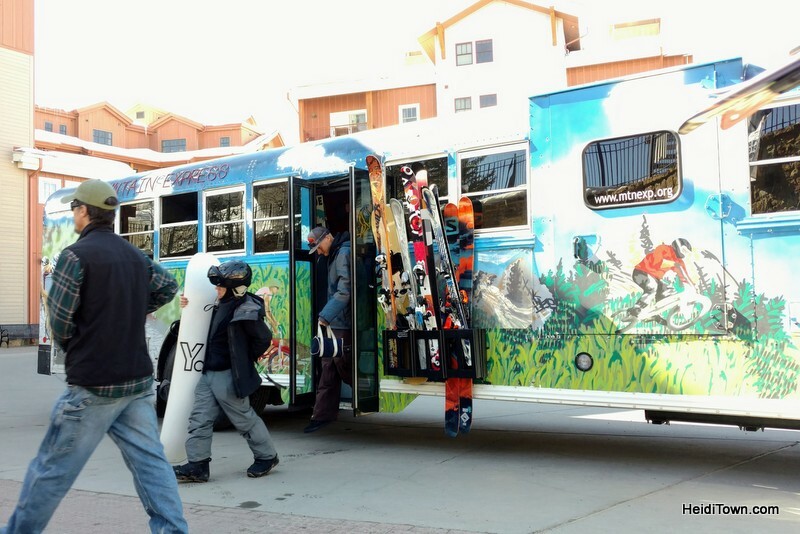 Everyone utilizes the free bus system in Crested Butte. Avalanche Bar & Grill has been around for many years, and while I can’t really find their exact opening date, they are a longtime favorite of locals and visitors. It oozes old-fashion après ski charm and it’s plainly obvious that a lot of ski boots have stomped across this joint’s floors. I had sat at the bar for a beer here earlier during our trip and the bartender knew every person who came and sat down around me—it’s that sort of place. We both got hamburgers and even on a super busy night, the kitchen managed to hit a perfect medium on both, which means I give them five out of five stars. I eat hamburgers all over Colorado and only about nine out of 10 places can hit a medium when asked so, three cheers for Avalanche Bar & Grill! Breakfast on day four in Crested Butte was my favorite meal of the trip. Izzy’s was recommended to me by multiple people, so thank you to those people! 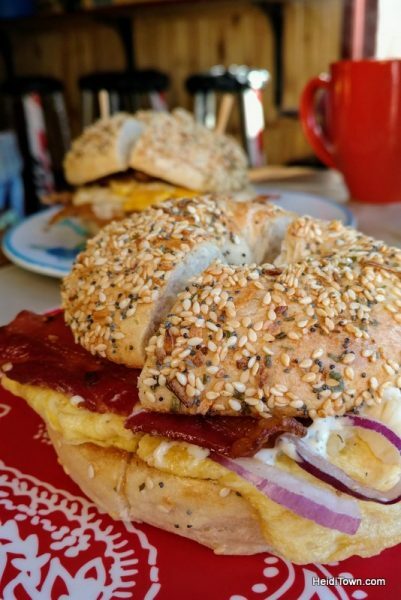 Their “Maxwell” bagel sandwich is the best bagel sandwich I have ever eaten. I do not exaggerate. 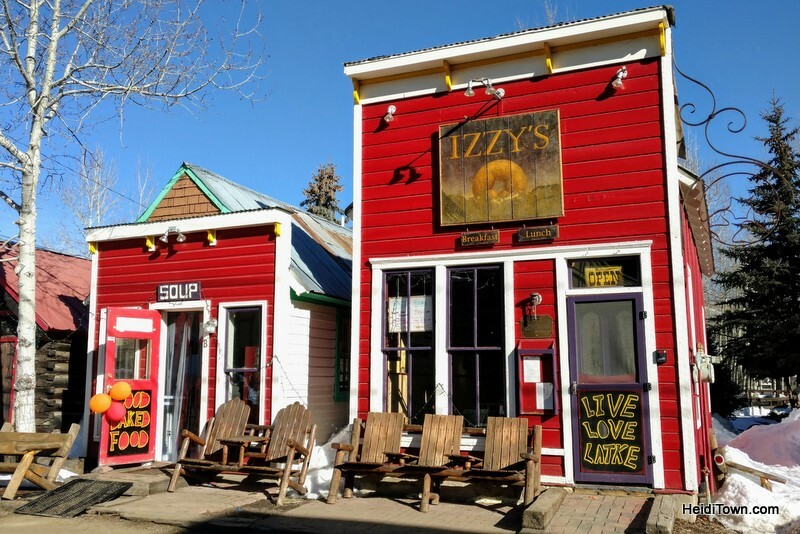 You must go to Izzy’s on your next visit to Crested Butte. A bagel at Izzy’s in Crested Butte. To end, I want to point out that we had endlessly friendly service while dining in Crested Butte. From bartenders to servers, we didn’t run into any grumps, which is surprising in a ski town during ski season. Everyone seems genuinely happy to be in Crested Butte, and I don’t blame them. It’s a beautiful (and delicious) town. 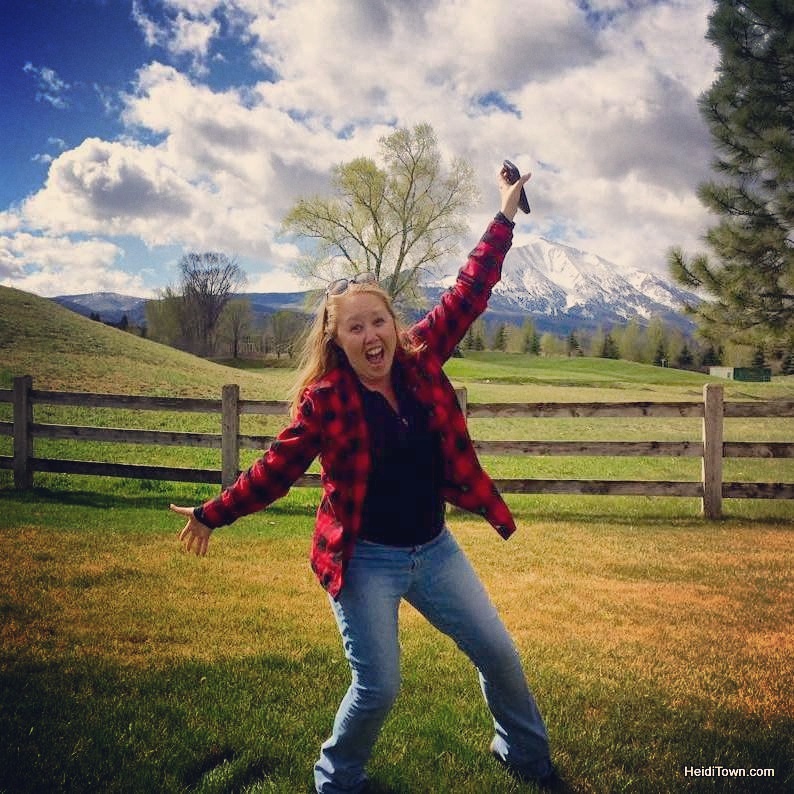 I love, love, love Crested Butte! You’re making me miss this sweet, friendly, fun town. Summer is around the corner – and will bring the re-opening of Kebler Pass – which cuts the drive from Aspen to CB from 5 hours to 2.5 hours! I’m ready for a hike over/drive back in the coming months! I’m so embarrassed to write this but we’ve never been over Kebler Pass. We had it planned for last fall and didn’t make it happen. 🙁 I’ve GOT to do that drive! Five hours cut to 2.5 hours means that during summer YOU can eat all the things in Crested Butte all summer long! Thanks for stopping by HeidiTown, Allison!